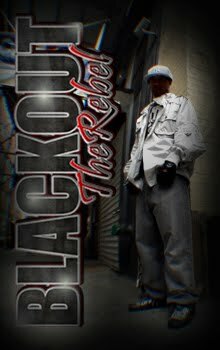 BLACKOUT THE REBEL: Nuyo Rican Cafe! Whats going on my Rebels/Rebelettes a few nights ago i ripped the stage at The Nuyo Rican Cafe. Had a great time and really felt in the zone that night. I performed "Your Now Listenin To", "Hold On One More Day", and "Countdown To The Last Hour". If you haven't heard them you can check Rebel Thursdays and also the mixtape when it drops thanksgiving. I will be posting a video connected to this post in a few just give some time i have a lot to write about and record. Videos and pictures of that night will be up soon enough they are still being edited. In the mean time enjoy these upcoming videos dedicated to the GTA series as well as a few from the last networking event that i attended. NO MORE MUST REBEL TV?